Bulgarian custom, like much of Eastern Europe and Asia, dictates that you take your shoes off upon entering a house. It’s also polite to offer your guests slippers at the door, to protect against the dreaded draft. Since slippers are so quick to knit, and such an economical use of yarn, some knitters end up with stacks of them. 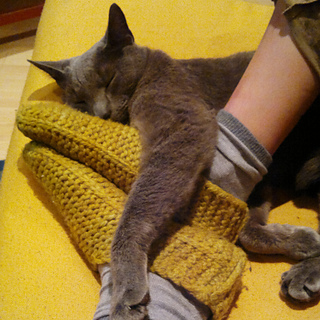 It’s not uncommon to be offered a pair of hand-knit slippers when you enter a home, to wear around the house or even to keep. This pattern is based on a quick, two-needle traditional design, worked in a bulkier gauge to be even faster and warmer. Pronounced “CHOOSH-kee,” they’re named after the Bulgarian word for peppers. These bright little slippers reminded me of red peppers, a staple in Bulgarian gardens and dishes. This time of year, sweet, bright red peppers aren’t so easy to find in the market, but at least you can make a pair for your feet.